The Council's Grants Policy is outlined below and is followed by a link to download the application form and feedback form as a Word document. At the bottom of the page are some Frequently Asked Questions which may help you to complete your application. Your completed application form should be emailed to clerk@wellesbournepc.com or posted to The Parish Council Office, 2 School Road, Wellesbourne, CV35 9NH. The objective of this Grants Policy is to provide Wellesbourne & Walton Parish Council (the ‘Council’) information and objectives when responding to requests for grants as all grants come from the Parish Precept which is part of the Council tax. Council and applicants need to be aware that Council has a limited amount available each year to provide grants. All grants are at the discretion of Council and it should not be assumed that by submitting the application and supporting documentation that a grant will be made. It may be the case that the Council will only approve part of the requested amount and/or subject to conditions. Grants are allocated once a year as part of the budget setting process of the Council and normally given formal approval and usually paid out in May provided that any pre-conditions set by the Council have been complied with. In order to ensure your application is considered, please return this form to the Clerk/Admin Assistant together with any supporting documentation by 1 November. Incomplete applications and those where the required supporting documentation is not provided will not be considered. Applications should be made for a specific purpose and not for generic purposes. If awarded, the grant may only be used for the purpose(s) specified by the Council. If not specified by the Council it may only be used for the purpose(s) set out in the application. Membership of applicant organisations must be open to all residents of Wellesbourne and Walton although some restrictions may be considered (e.g. restrictions based upon age) where full details will be required. Applicants will be required to demonstrate they are working towards becoming self sustaining without reliance upon regular grant funding from the Council. NOTE: All applications to be submitted using the Parish Council’s application form (please click the link below) or request a paper copy from the Parish Council Office. A Statement of Accounts must be appended before your application will be considered together with any other documentation specified in the application form. While applications will be considered from different and distinctly separate groups which are also part of a larger overall group, the applicant must provide their own separate financial accounts. In addition the Council will look at the overall sums being sought by the larger overall group when making its decisions. Where an applicant organisation is newly formed or in existence less than 12 months forward plans and financial projections may be submitted in place of accounts. For any grant application in excess of £5,000 forward plans and financial projections will be required to show the applicant is working towards self sustainability. Failure to provide full financial and all other required information will normally result in no grant being made. The Council will only consider the information submitted at the time of the application and not revert to the applicant for further information. It is therefore in the interests of any applicant to ensure their application contains the fullest possible information. Failure to comply with the above guidelines and requirements will normally result in the Council making no award at all. Where does the money for grants come from? All grants come from the Parish Precept, which is part of the Council tax. How does the Council decide how much money to allocate to grants? The Council has a limited amount of money available each year to provide grants. It arrives at the total by considering the merits of all applications for grants, and the impact these will have on the Parish Precept and therefore the Council Tax. 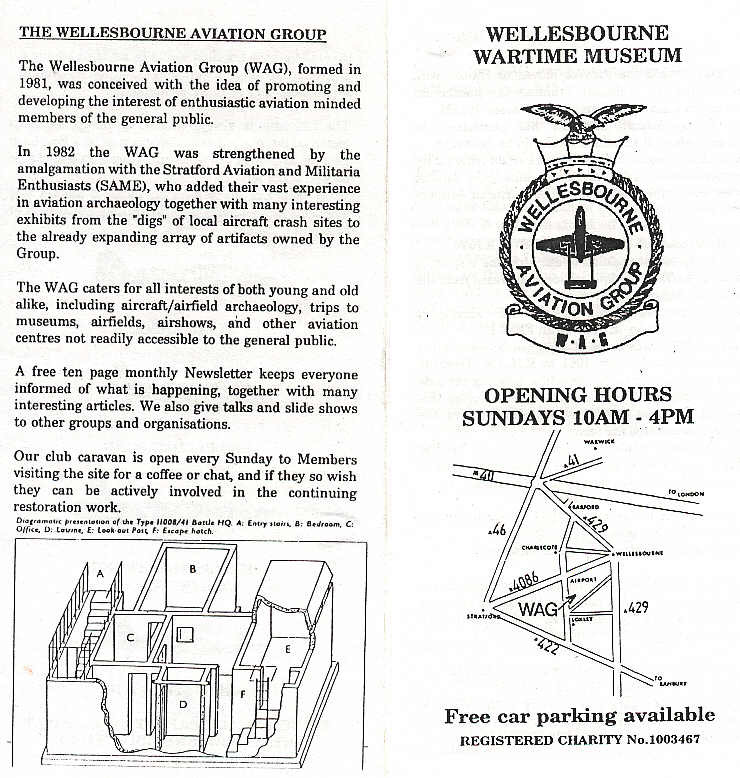 open to all residents of Wellesbourne and Walton, if they are membership organisations. This may not apply to some restrictions, e.g. those based on age. Which organisations are not eligible for grants? churches or religious bodies, except where the purpose of the grant is to benefit the wider community and is not to promote religious activities. organisations where another authority or central government has a statutory obligation to supply funding (e.g to a school or a hospital). national charities, except where they are organized on a local basis by Wellesbourne or Walton residents, and only then in exceptional circumstances. organisations that have not submitted a complete application or all the supporting documentation they have been asked for. organisations that received a grant in previous years but did not complete their follow-up report, attend the Annual Parish Meeting or comply with any other condition set by the Council. Why are grant applications not discussed in a public meeting? The Council discusses the details of grant applications in confidential session to preserve the confidentiality of applicants’ finances or projects. Do unsuccessful applicants find out why they were unsuccessful? The Council will send individual letters on the outcome of their application to all applicants, both successful and unsuccessful. The Council will provide individual feedback on unsuccessful applications if the applicant requests it. If applicants submit a fully completed application, plus all the required supporting information, are they guaranteed to get a grant? No. It isn’t possible to award grants to all applicants every year. So unfortunately, completing the application process successfully doesn’t guarantee a grant will be awarded. The Council considers all grants on their merits, including how far they meet the Council’s requirements of benefiting the local community and their ability to raise funds themselves, either from members or other external organisations. Grants are awarded at the Council’s sole discretion. When and where are the details of successful applicants published? After approval of the grants at a full Council meeting (usually in April or May), details of successful applications are published in the minutes of that meeting. What happens if a Councillor has an interest in a grant application? Any Councillor with any kind of interest in a grant application must declare it and is not permitted to take part in the discussion of the application or to vote on it at any stage. What is the time table for the grants process? Grants are only allocated once a year. There is no ‘rolling grants fund’ that can be applied for throughout the year. Grant application forms and supporting documents must be submitted to the Parish Office by November 1st each year. Applications are made for the following financial year. So a grant applied for in November 1st 2018, if awarded, would be made for the 2019/2020 financial year, which starts in April 2019. The Council’s Finance Committee initially assesses grant applications when considering the proposed total Council budget for the following financial year. These discussions often need to take place over two (or more) meetings in November and December each year, as there are many aspects of the overall budget to cover. The full Council then considers the overall budget, including an amount for grants, usually in early January. Once agreed, the Council submits the Parish Precept request to Stratford-on-Avon District Council (SDC) for agreement. While timings can vary, SDC usually advises the Council that it has approved our Parish Precept in March. In April, once the Council has received confirmation of the Parish Precept amount, there is a formal vote by the full Council to approve the grants, including any pre-conditions. Once the Parish Council has received the Precept funds, usually in April, recipients will receive their grants in May or June, provided they have met any pre-conditions. Within 6 months of receiving their grant, recipients must produce a follow-up report, with supporting documentation, explaining how they have used the money. They are also asked to produce a display at the next Annual Parish Meeting and to be available to answer questions about their project. What if an applicant makes a mistake on their form or submits an incomplete application? Unfortunately the Council can only consider the application that is submitted. Applicants can supply additional information or correct errors on their application but only if this is received before the November 1st deadline. What if an applicant misses the November 1st deadline? Unfortunately the Council cannot consider late applications. If an applicant has received grants from the Council in the past, can they apply again each year? Yes. But the Council will look to ensure that the previous grant(s) have been used in accordance with the conditions, and that the applicant is also seeking to become self-sustaining, without relying on regular grant income from the Council. You can only apply for one grant per group or organisation. Submit your application using the Parish Council’s application form (please click the link above) or request a paper copy from the Parish Council Office. Append a Statement of Accounts from your organisation. This is essential and we cannot consider your application without it. The Council welcomes applications from new and growing organisations. If your organisation has been operating for less than a year and does not yet have a full Statement of Accounts, please supply your current budget, projected budget and an outline of your plans for your organisation. The Council will consider applications from separate and distinct groups that are part of a larger group or organisation, but each applicant organisation must provide its own separate financial accounts. The Council will also look at the total sum being sought by the overall group as a whole when making its decisions. Make sure you include any additional information as set out in the application form, as without it your application may not be considered.